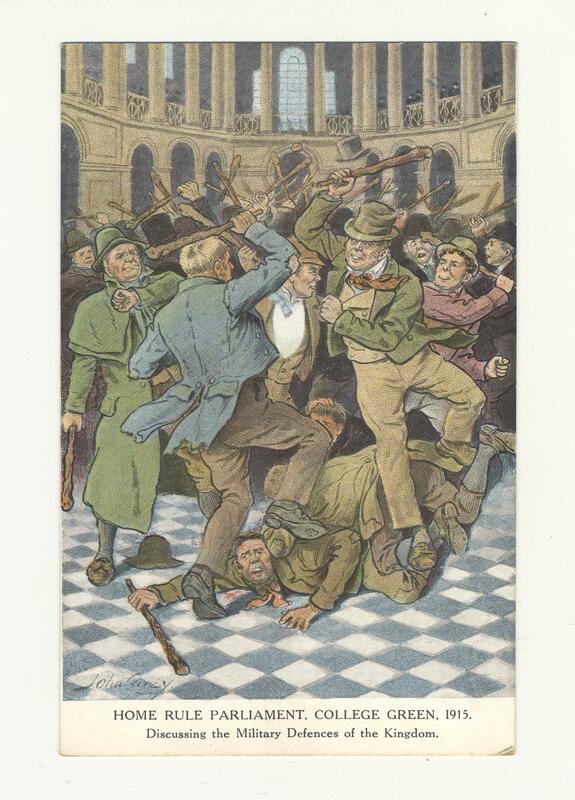 Anti-Home Rule postcard featuring 'Paddies' fighting with shillelaghs inscribed 'Home Rule Parliament 1915. Discussing the Military Defences of the Kingdom'. Original artwork by John Carey. The Ill-Fated White Star Liner "Titanic"